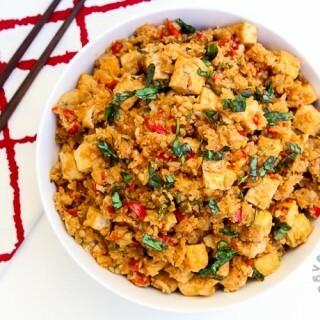 Today I’m thrilled to have an amazing guest blogger, Sophia from Veggies Don’t Bite, share this wonderful Vegan recipe with us! I had the pleasure of meeting Sophia a few months ago at one of my 5:45AM workout sessions. We started chatting after class and I found that not only does she have an amazing food blog, but she also mainly eats a gluten-free and vegan diet! 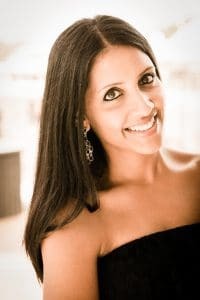 She writes from the heart, takes beautiful mouth-watering pictures, and develops great recipes on her blog that cater towards all types of diets! 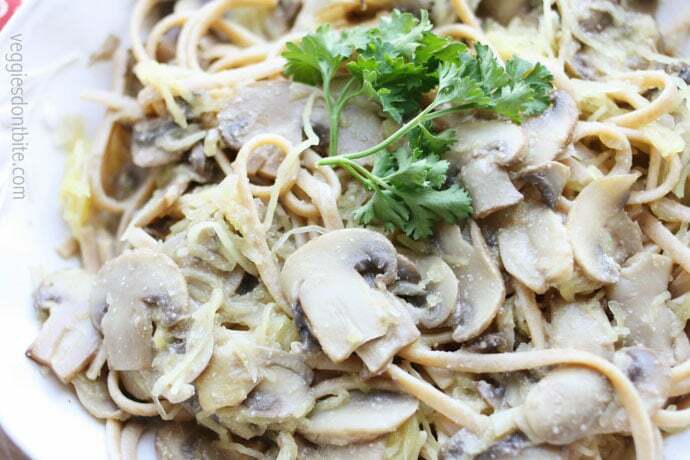 Here is her post and recipe for Vegan Creamy Mushroom Alfredo Sauce with Spaghetti Squash & Noodles! It’s no secret that my family loves pasta. Any type, any toppings, any sauces. I have experimented with quite a few types but the one type I had left was a creamy white sauce to satisfy our non-vegan Alfredo cravings. Although a cream based pasta dish tasted so good going down in my pre-vegan days, it always made me sick. 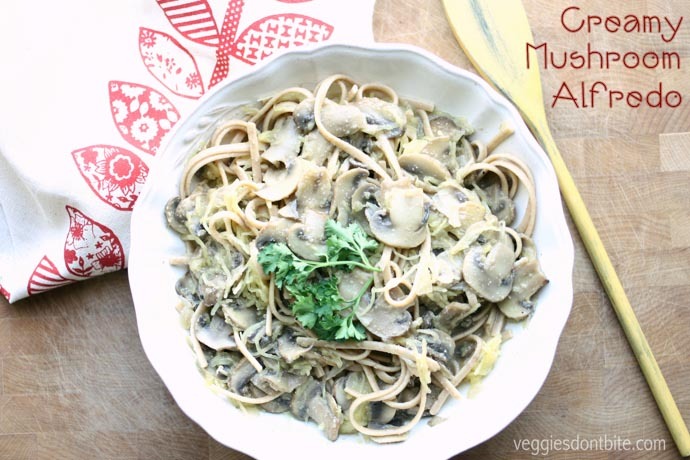 So coming up with a veganized version of Alfredo has always been on my bucket list. My Cashew Walnut Cream Sauce takes center stage in this recipe. It’s such a great base for any time you need to get that creamy flavor without all the dairy. 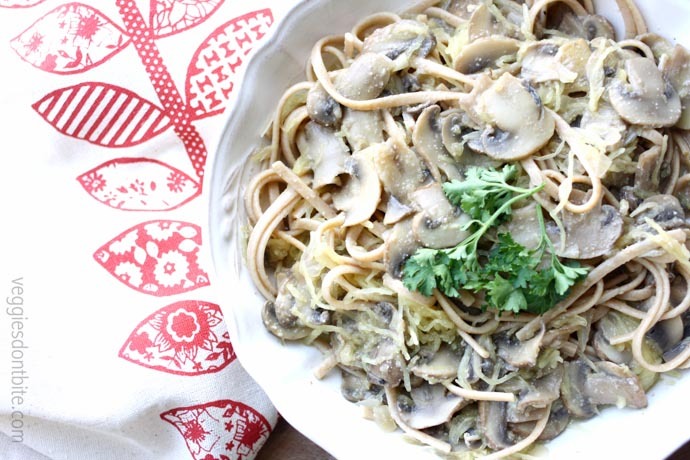 It’s so versatile and was a perfect addition for this mushroom Alfredo. A little white wine and some garlic really upped the flavors, and once the mushrooms were added back in, it made for an amazing sauce that in no way tastes vegan! This is a really simple sauce to make, and if you have the Cashew Walnut Cream base already done, it is even faster. The great thing is that in the time it takes for the spaghetti squash to cook, you can prepare the sauce. 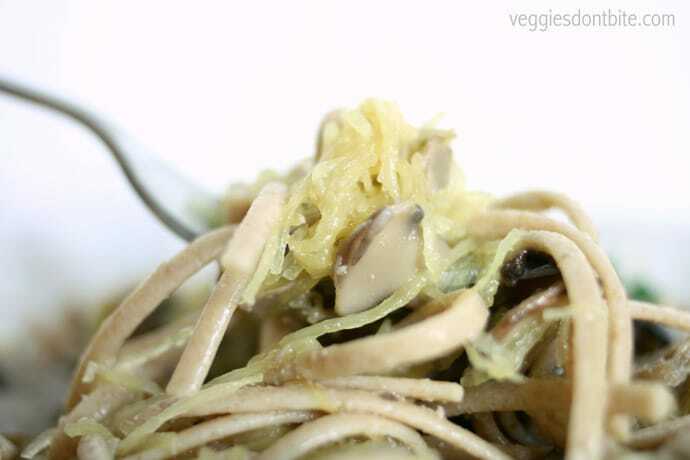 By the time your sauce is simmering, the squash is done so all you have to do is cook up some pasta and you have a delicious meal that will wow even your non vegan friends! I hope you enjoy this as much as we did! 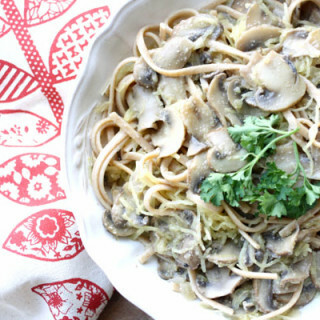 This Mushroom Alfredo has that creamy flavor you're looking for without all the dairy. 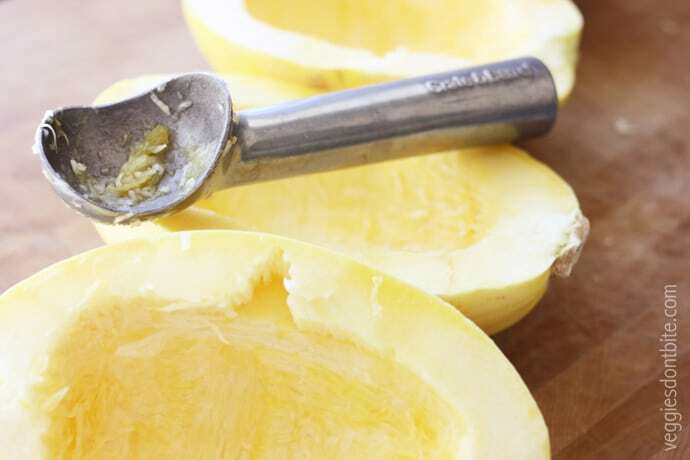 Cut the spaghetti squash in half and scrape out seeds, an ice cream scooper makes a great tool for scraping. Sprinkle with salt and pepper. Place face down on parchment lined cookie sheet. Bake for 30-40 minutes or until fork pierces skin easily. Soak the nuts for at least two hours in a bowl of water, make sure the water covers them completely since they puff up while soaking. Put nuts and about ½ cup of the soaking water in food processor with the salt and pepper. Blend until smooth and creamy, add more salt/pepper to get to desired taste. Also add more water to get to desired consistency. While the spaghetti squash is baking, make your sauce. 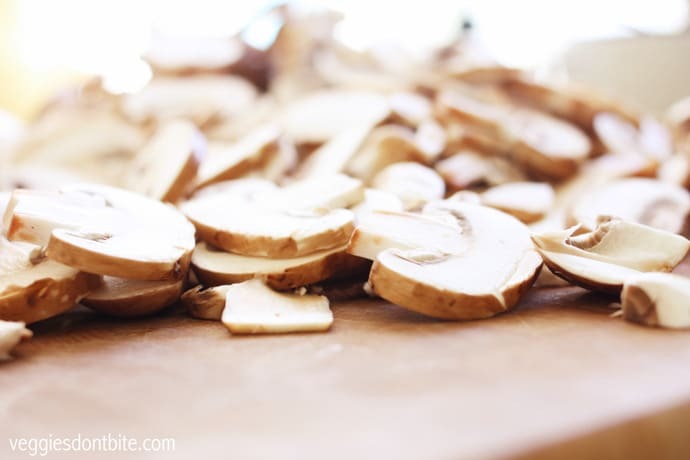 Using a sauté pan, sauté mushrooms in oil or veggie broth with a dash of salt. Once soft, remove from heat and set aside. I put them in the pot that I will cook my pasta in to reduce cleaning extra bowls. Next, sauté diced onion in a drizzle of oil or veggie broth until soft but not browned. Add in cooking wine and garlic. Cook down until the wine is about half of what it started. Add in veggie broth and 2 cups Cashew Walnut Cream sauce and mix until well combined. Simmer on medium low until sauce thickens. Taste and add salt if needed. 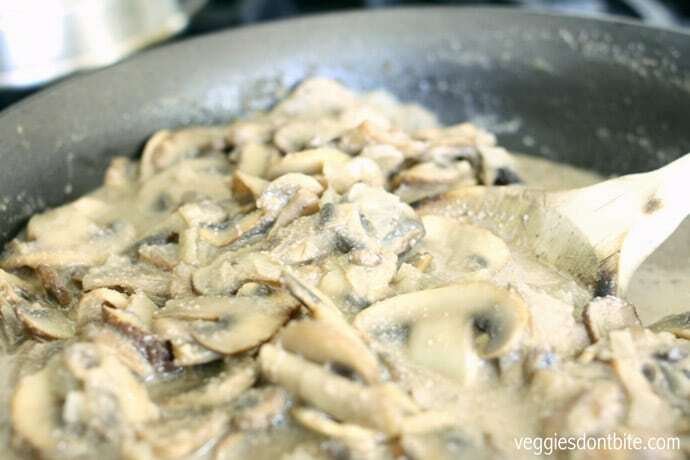 Once thick, add mushrooms back in and mix well. Turn off heat. Next cook your pasta according to directions on package (again I use the pot I stored the mushrooms in), making sure to retain ½ - 1 cup of the paste water when draining. Add pasta back into pot. 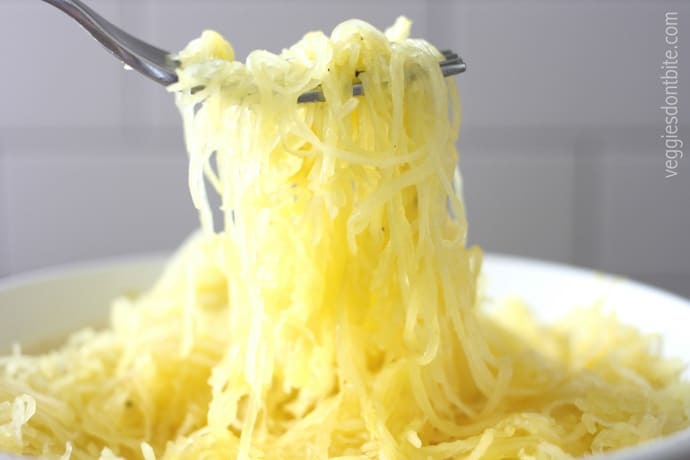 Once spaghetti squash is done, take them out of the oven and use a fork to “spaghetti” the insides. Add the “spaghetti” to the pot of pasta and combine. Add in the sauce along with ¼ cup pasta water. 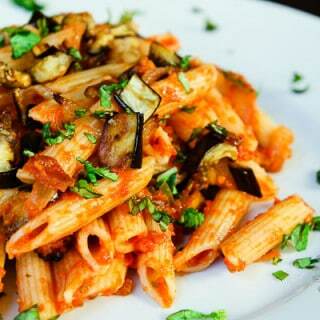 Mix well and add more pasta water ¼ cup at a time until sauce is creamy and not too thick. Be careful to add pasta water in slowly so you don’t make the sauce too thin. Sophia DeSantis is the author of Veggies Don’t Bite, a vegan, gluten free and refined sugar free food blog targeted to all types of eaters. She is the mom of two beautiful boys and wife to an amazing husband. Her and her family live a vegan, gluten free and refined sugar free life 90% of the time because she believes that the stress of having to be perfect shouldn’t overpower the benefits that their healthy lifestyle brings. Through her website, she hopes to reach anybody interested in making a positive health change in their life. 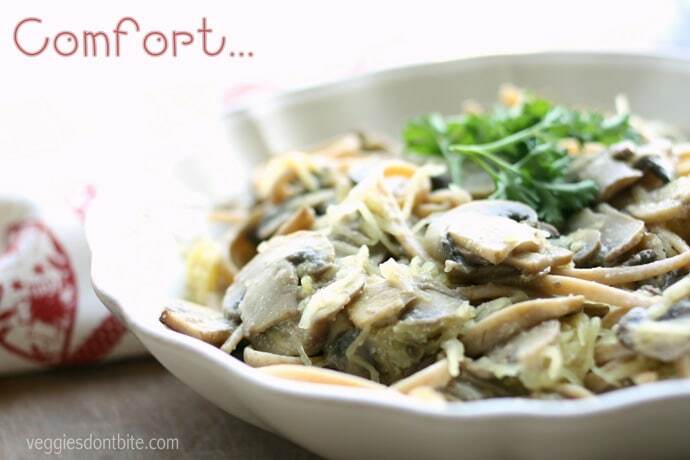 « Guest Post for Chai Mommas – Valentine’s Day 3-Course Meal! Thank you for allowing me to post on your blog! I love all you do and look forward to seeing more! Mushrooms alfredo sauce turn out very good. We like sprgett squash too.